The team from the Northern most part of India has been strong on names but weak on results. They reached the Semi-finals in the inaugural season in 2008. But what followed was nothing short of nightmare. They finished at the fifth position in 2009. The ranking further fell down to the last position in 2010. 2011 again saw them finishing at the fifth position. The result degraded to one position lower in 2012. The result did not change in 2013 where they finished at the sixth position again. After failing to get past the league stage for five consecutive years, Kings finally managed to enter the Qualifiers and then the final in 2014 under the leadership of George Bailey. Howecer, they lost to Kolkata Knight Riders in the final. Later in that year, they remained unbeaten throughout the league stage of Champions League. But could not get past Chennai Superkings in the Semi-final. The success of 2014 was expected to be continued in 2015 but the previous edition of IPL saw the team ending at the last position. The team which is owned by Mohit Burman, Ness Wadia, bollywood actress Preity Zinta and Karan Paul play their home matches in PCA Stadium, Mohali. Their other home venue in HPCA Stadium in Dharamsala has been replaced by Vidarbha Cricket Association Stadium, Nagpur. The management has seen some drastic changes ahead of this season. They did not retain their skipper from last season, Geoger Bailey (who later remained unsold in the auction). As a result, David Miller was handed the captaincy. Virender Sehwag's retirement has given him a new role of Team Mentor. 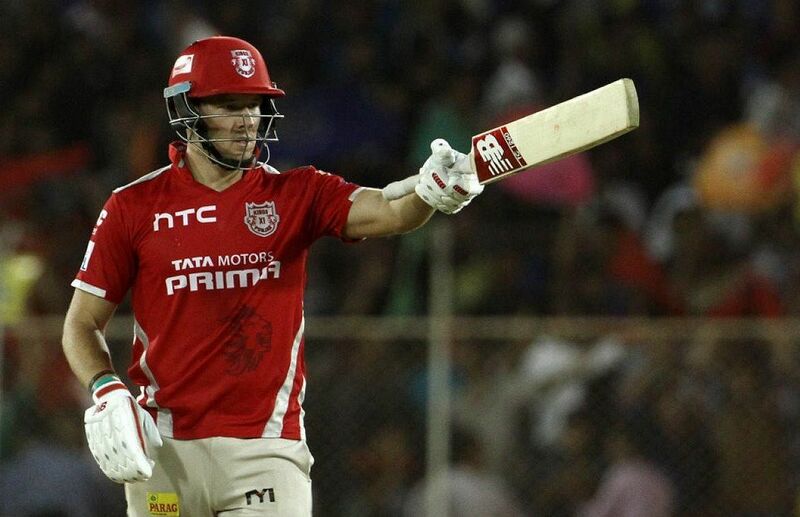 David Miller will lead the side in IPL 9. Mohit Sharma - The 27-year old Indian medium-fast bowler has a healthy IPL record. He has represented Chennai Super Kings in the past and has prospered as a bowler under MS Dhoni. He can further enhance his learnings under the guidance of Mitchell Johnson. Kyle Abbott - In what will be his maiden IPL season, the 28-year old fast-medium bowler can come in handy for Miller. What more can a new captain ask for if he has bowlers with whom he shares his national dressing room? He is an apt replacement for Johnson considering the fact that no overseas fast bowler will play all the 14 matches. 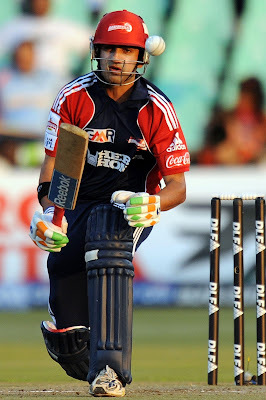 Farhaan Behardien - The 32-year old right-hand batsman also comes from South Africa. Behardien is capable of batting in the middle overs and rotates the strike well. He can also be roped in to bowl 1-2 overs (if required) with his military-medium pace. Marcus Stoinis - The 26-year old all-rounder from Western Australia bats right handed and bowls right hand medium pace. He can fill in the all-rounder's spot in the side. He was in Delhi Daredevils last year but did not make it to the playing eleven. His wait will perhaps come over this year. KC Cariappa - Cariappa bagged all the attention in last year's auction when he was bought by Kolkata Knight Riders without having played any sort of first-class cricket. He still hasn't represnted his state, Karnataka, but has impressed many in the Karnataka Premiere League. The 21-year old mystery spinner can prove worthy for Kings XI Punjab who do not have big names in the spin division. Swapnil Singh - The 25-year old left-arm spinner from Baroda made his Ranji Trophy debut at the age of 15. He came into recognition when he registered figures of 4-0-19-6 against Saurashtra in Syed Mushtaq Ali Trophy. He even possesses abilities with the bat. What Axar Patel gained from Kings XI Punjab, perhaps it is Swapnil's turn to do the same. Pardeep Sahu - The 30-year old right-arm leg spinner from Haryana is playing his maiden IPL season. Armaan Jaffer - The 17-year old right-hand batsman has represented the India U-19 side who went to play the final of ICC U-19 Cricket World Cup earlier this year. The teenager has registered various records in junior cricket. Apart from the fresh entries, KXIP have a strong blend of overseas and indian players. To face the new ball, Kings XI have seasoned openers in Murli Vijay and Shaun Marsh. Manan Vohra can up the ante against any bowler, that too by playing proper cricketing shots. Punjab have often tried their wicket-keeper, Wriddhiman Saha in the top order. Whether they will continue to promote him up the order will be interesting to see. Glenn Maxwell will provide the X-factor in the middle order. His unorthodox batting can destroy the line and length of any bowler in the world. Not just batting, Maxwell can also chip in with some overs via his off-spin. To accompany him in power hitting, will be his captain, David Miller. Miller is also a noteworthy T20 specialist and can turn the tables on his own. 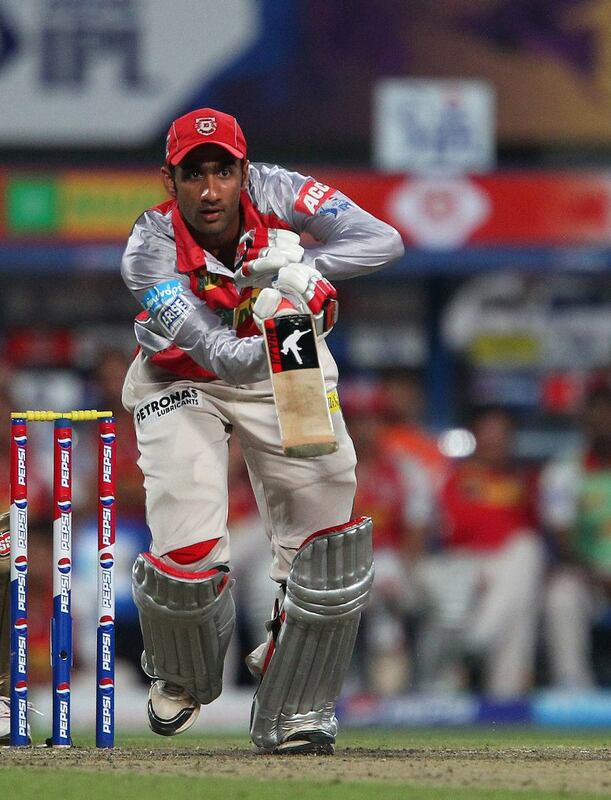 Some one who has got very limited chances in Kings XI Punjab is Gurkeerat Singh Mann. He often comes to the party in crunch situations for India A and Punjab in the Ranji trophy. But his IPL team's strong middle order prohibited him a chance to play. Having made a debut for India earlier this year, his confidence must have reached to a new level. Now when Bailey is gone, he can be his able replacement. He too bowls handy off-spin. Nikhil Naik is another decent middle-order batsman. Mann will be expecting more chances in this season. Punjab has two of India's best all-rounders in Axar Patel and Rishi Dhawan. Patel has become a whole different bowler since he has represented Kings XI Punjab. He can even contribute with the bat. Rishi Dhawan is another interesting prospect, not only for Punjab but also for India. His batting to go with his right-arm medium makes him a complete package for T20 cricket. Mitchell Johnson will lead the fast bowling department. His experience will be more than worthy for Punjab both on and off the field. What will be interesting to see will be at what speed will he bowl in his first assignment post his retirement. Apart from their fresh entries in Mohit Sharma and Kyle Abbott, the team also has the recently-capped Indian bowler, Sandeep Sharma. He is another of those kind of bowlers who rely more on swing than pace. Shardul Thakur and Anureet Singh are two of the best domestic pacers available in India and Kings XI Punjab would be looking to gain from their services as well. The team has the joint-least no. of players, i.e., 22 with as many as 15 Indians and 7 overseas players. Sanjay Bangar, Head Coach, will have to make the right permutations and combinations in order to select the best eleven. Joe Dawes and R Sridhar are the respective bowling and fielding coaches. In the quest of making Punjab win their maiden title, will be their mentor, Virender Sehwag. They will take on Gujarat Lions in their inaugural match on April 11.